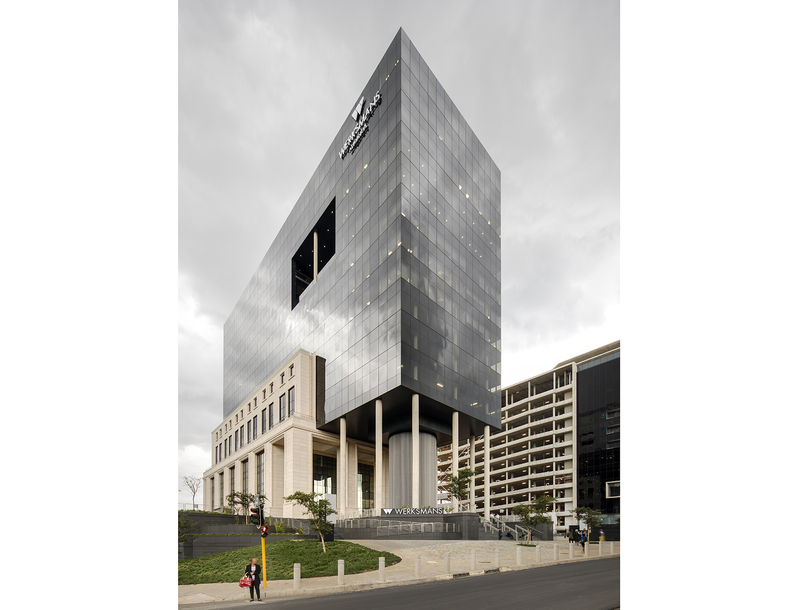 Investec Properties and CRI Eagle Investments, commisioned Boogertman + Partners to design a new commercial office building on the corner of Johan and Rivonia Street. 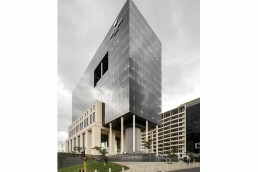 The building would be known as 96 Rivonia. 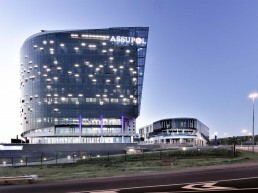 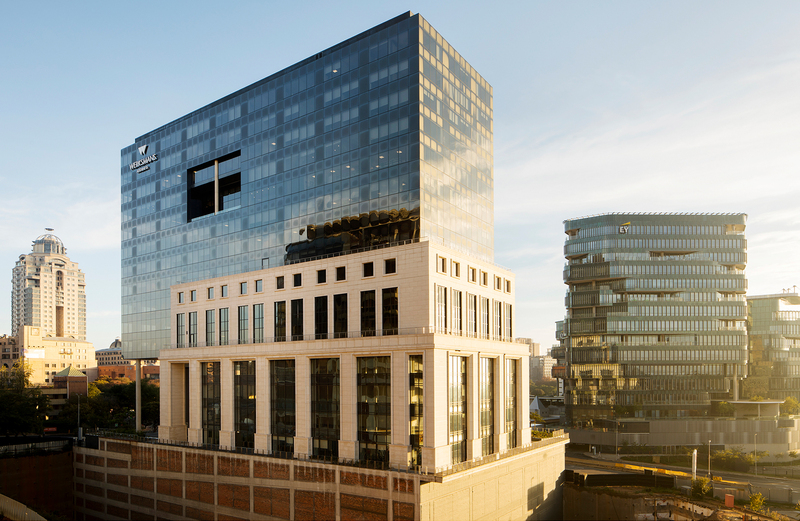 Investec engaged with Werksmans Attorneys to come on board as the main tenant. 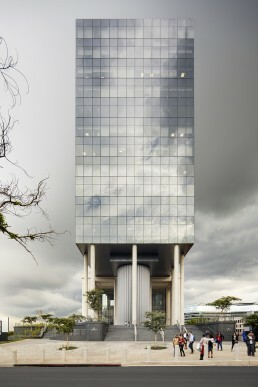 The building concept would reflect the nature and legacy of Werksmans as one of the well-known centurion legal firms in South Africa. 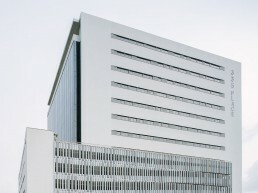 Boogertman + Partners developed the iconic concept in cooperation with Stephen Rich Interiors who was commisioned by Werksmans as their interior architect and designer. 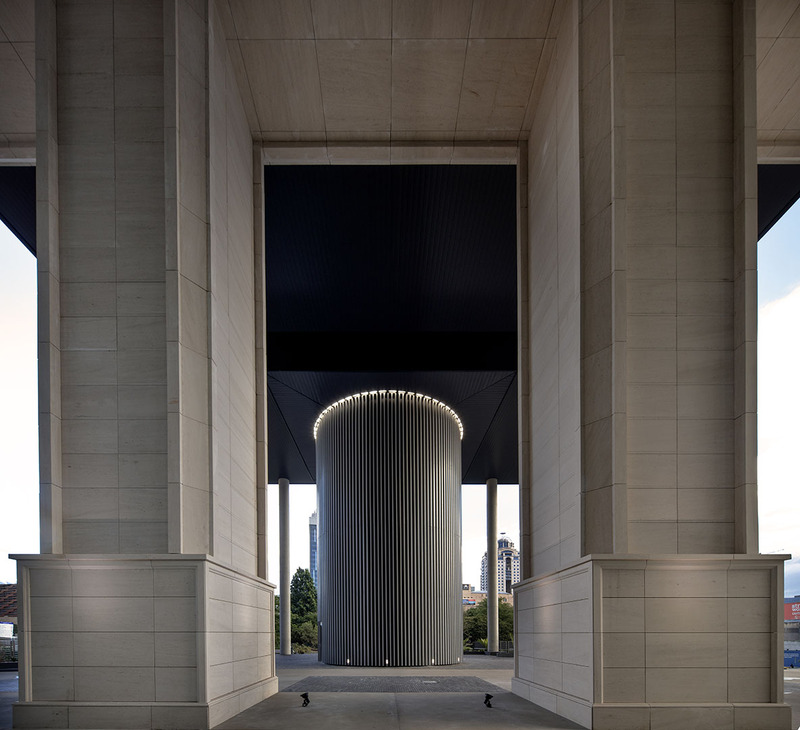 The philosophy grew from the history of the firm displaying the sandstone base of the early 1900s and reaching into the future depicted by the black, clean and simple, modern unitised glass façade box. 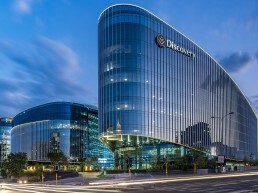 Like two hands gripping in agreement of a visionary future. 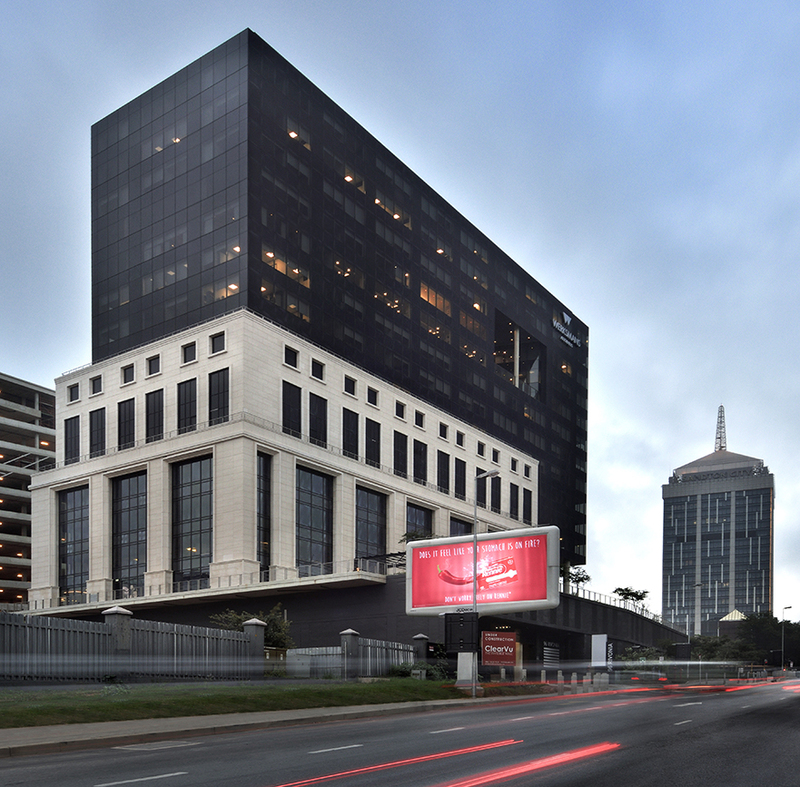 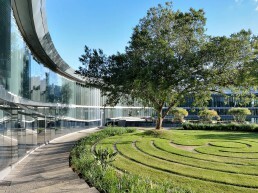 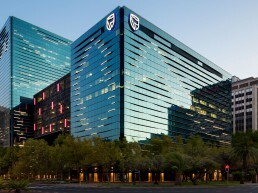 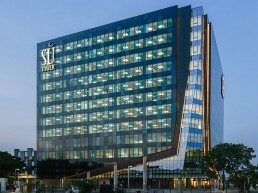 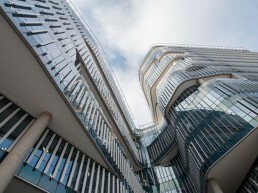 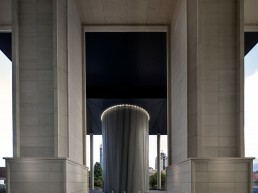 The end result achieved the iconic statement of formal symmetry of new and old on a prominent corner in the Sandton Central district defining an unique space in the midst of the new Sandton skyline.